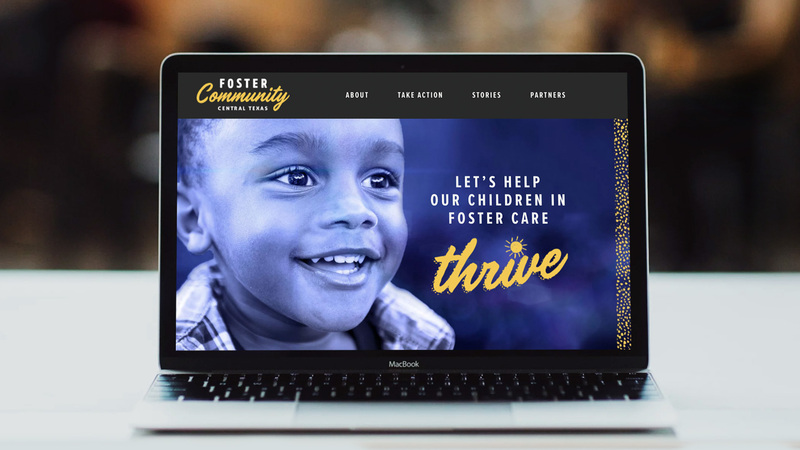 Mission Capital came to Eye Like Design with a new idea to transform the Texas foster care system. The concept is rooted in the proverb “It takes a village to raise a child,” encouraging new volunteers to take on small but meaningful tasks to help foster children thrive. From tutoring, to fundraising, to transportation and after-school care, volunteers surround foster families with support. As the program grows, new foster parents emerge and young people become part of a larger extended family. In fall 2017, Foster Community was born. Eye Like Design provided naming, branding, collateral, web design and development.